Sandy Pug Games, the creators behind the modern day era Americana tabletop roleplaying game on Kickstarter, reached out to let us know that their $9000 stretch goal to create a tokusatsu themed version, in the style of Power Rangers and Super Sentai, has been funded! 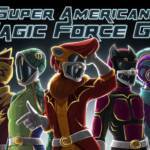 That means you can play as Super Americana Magic Force Go in this modern day era tabletop roleplaying game! To celebrate they’ve added a new, limited pledge tier of $200 for five lucky backers. For a $200 pledge you will BE IN THE GAME. You’ll need to submit a photo of yourself, a description of your power suit or robot, and their artist (see title image for reference) will draw you in to the game’s yearbook, making you part of the Super Magic Force as a Super Magic Force Fighter! For all the details of this tabletop roleplaying game Kickstarter, click here to check it out and to pledge if interested. The game is already 100% funded with the Super Americana Magic Force Go stretch goal unlocked, so this is just a fun “hey check this out” update for anyone who is interested in seeing themselves immortalized in to a tabletop roleplaying game! These days tabletop roleplaying games are all the craze in the tokustasu community. Recently, Sandy Pug Games introduced a Kickstarter campaign for their tabletop roleplaying game “Americana”, a tabletop game set in the 1950’s but with all your favorite fantasy races living normal everyday lives in 1950’s America. That Kickstarter campaign has already reached its funding goal so it will be released! 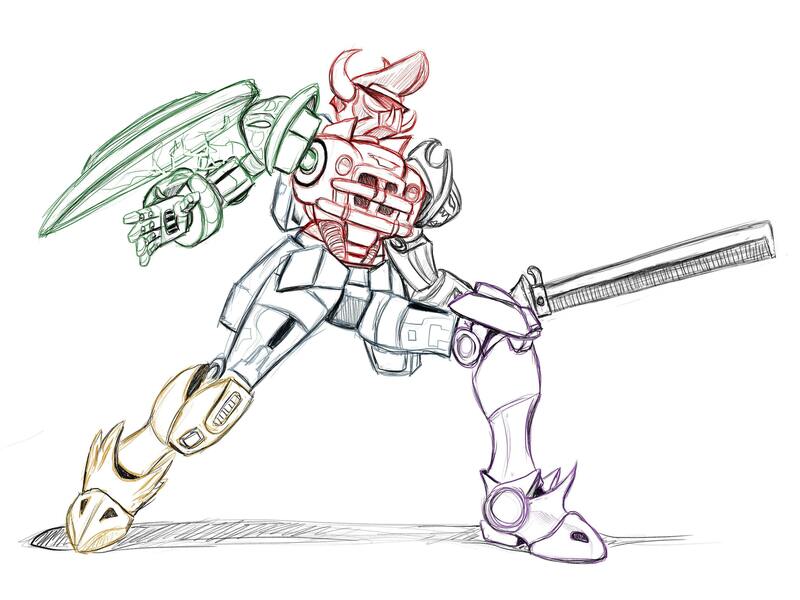 But now, they’ve introduced one of their stretch goals – a tokusatsu themed expansion! Introducing Super Americana Magic Force Go! Americana Magic Force Go will be, if funded, a fully developed new setting with mechanics to match – mirroring classic tokusatsu shows and films with an awesome escalation mechanic, unique character generation mechanics and a fantastic enemy creation system to provide the meanest, most special foes for your team to combat! As previously stated – the game is already 100% funded! This is a $10,000 stretch goal (as of the time of the post they are less than $2,300 away with 11 days to go). There are plenty of different tiers you can choose from with varying prices. If you are interested we encourage you to check out the project, the stretch goal, and to consider contributing! Everyone at Sandy Pug Games is really excited to make this project a reality, and we’re really looking forward to the stories and worlds our fellow tokusatsu lovers make! Click here to check out the Kickstarter and to make your pledge! Special thanks to Sandy Pub Games for reaching out and sharing this exciting project with us and the rest of the tokusatsu community! Check out Sandy Pub Games at the links below! EDITOR’S NOTE: TokuNation.com normally does not endorse crowd-funding campaigns due to continued abuse from creators (the Power Rangers community has been taken for well over $100,000 over years in campaigns that became funded yet never delivered on promised content). However, an exception was made as Sandy Pub Games has items already released in the tabletop RPG community. As always, you pledge to projects at your own discretion and risk. Power Rangers: Heroes Of The Grid FULLY FUNDED! The Kickstarter for Renegade Game Studios’ first Power Rangers tabletop gaming project has come to an end- and overall the project has been a rousing success! Power Rangers: Heroes Of The Grid raised a grand total of $705,087– over SEVEN TIMES the target goal! The game has met ALL stretch goals outlined in the campaign thanks to donations from dedicated fans. We here at TokuNation would like to extend our congratulations to the good people at Renegade for this incredible crowdfunding campaign. Look forward to seeing Power Rangers: Heroes Of The Grid for real in 2019! Power Rangers: Heroes Of The Grid Tabletop Game Coming From Renegade Game Studios! Renegade Game Studios has announced their first official Power Rangers project since obtaining the license! Power Rangers: Heroes Of The Grid will be a 2-5 player tabletop board game where players can work together to save Angel Grove from Rita Repulsa and her army of monsters. Artwork for this game has been provided by Dan Mora, already famous for his work on the BOOM! Studios Power Rangers comic books. And the first EXPANSION for Heroes Of The Grid has already been announced: The Shattered Grid Expansion will feature locations & characters from BOOM!’s comic series run- PLUS characters from the Power Rangers HyperForce RPG! The KickStarter for Heroes Of The Grid will be opened on August 14. Fans of tabletop gaming will get to try out Heroes Of The Grid in-person at Power Morphicon, August 17-19! Tabletop game publisher Renegade Game Studios has announced they have partnered with Saban Brands to produce a new series of Power Rangers inspired games! Inspired by the iconic, 25-year franchise, the upcoming tabletop games will be focused on fan experiences that uphold the Power Rangers’ brand core values of teamwork, inclusivity, and diversity. Featuring the globally recognized Rangers as well as well known villains, locations, and more, these games will reward super fans and also, intrigue players who have recently been introduced to the brand. Definitely great news for fans of Power Rangers AND tabletop gaming! Stay tuned to TokuNation as we keep you up to date on this exciting new member of the Power Rangers extended family!